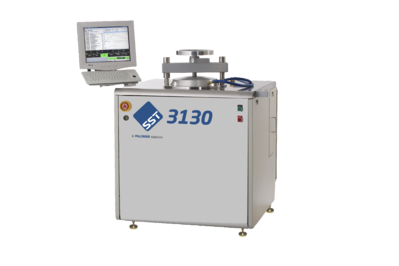 The SST 3130 is a vacuum and pressure furnace that provides precise automatic control of heating to 500°C (1000°C optional) and cooling in an inert gas environment from vacuum levels of below 50 millitorr to pressures exceeding 50 psig. 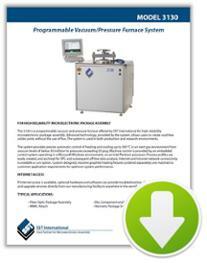 Process profiles are easily created, and the process data can be analyzed offline. 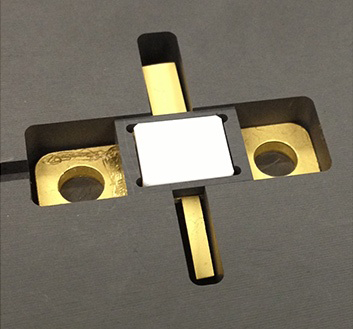 The system is used in both production and research environments for flux-free soldering, brazing, annealing, and glass sealing of components and packages for microelectronic applications. Void-Free Die Soldering. Void-free die and substrate solder attach is used to create a uniform thermal interface for high-reliability microelectronic devices. Hermetic Package Sealing. Hermetic package sealing uses solder or glass to create a barrier to moisture which will damage sensitive electrical circuit components. Glass to Metal Sealing. Glass to metal sealing is performed at high temperatures to create hermetic seals for electrical feedthroughs and electronic components.. Hermetic package sealing uses solder or glass to create a barrier to moisture which will damage sensitive electrical circuit components. 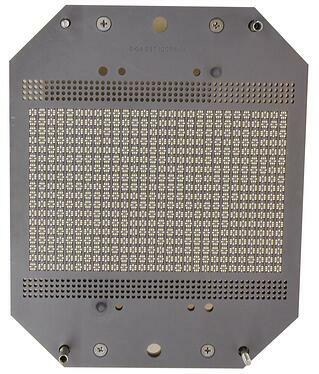 Graphite, ceramic, and metal fixtures are required for most microelectronic assembly processes. Learn more about tooling.